Dental extractions can be as difficult as pulling teeth – actually – that’s just what dental extractions are. The medical term for dental extraction is known as exodontia. A Dental extraction is simply the removal of a tooth from the mouth. Dental extractions are performed for a variety of reasons. Dental extractions may be performed due to tooth decay that is beyond restoration. Dental extractions may also be performed to make space for orthodontic treatment. Another reason for dental extractions is due to impacted or problematic wisdom teeth. Severe gum disease may be a contributing factor to necessitate a dental extraction. Dental extractions are most commonly performed in cases of tooth damage due to tooth breakage or tooth decay. Many people are worried about visiting the dentist for fear they will need a dental extraction. In all actuality, dental extractions should be considered as another aspect of good oral hygiene and they are not very common. Once a tooth is damaged beyond dental repair, dental extraction should be performed. Teeth that are misaligned or out of position may also need to undergo dental extraction. Sometimes it is best that cracked teeth, broken teeth, and deeply decayed teeth be removed through dental extraction. Sometimes dental extraction is the easier and more cost effective solution. At our Midtown Manhattan Dental Office, Dr. Yelena Simkha specializes in the latest dental procedures including dental extraction. 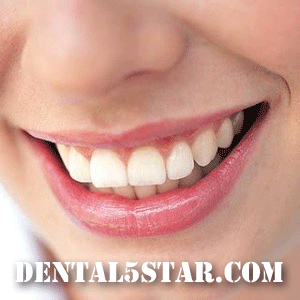 For more information about dental extractions or other dental procedures, visit Dental5Star.com. Midtown Manhattan cosmetic dentist Dr. Yelena Simkha provides a variety of state-of-the-art general and cosmetic dentistry procedures to her patients. If you are interesting in having a wonderful smile and keeping your teeth healthy, you should make a dental appointment with Dr. Simkha. Call Prestige Dental today at (212) 683-4330. To get more dental tips and to find out how to keep your teeth looking great, be sure to check the Dental 5 Star blog regularly. If you would like to have that great smile that you’ve always dreamed of, call Dr. Simkha at Prestige Dental or visit us online at http://dental5star.com to find out more information about Invisalign, dental veneers and many other dental procedures that can help give you that winning smile! This entry was posted on Monday, October 25th, 2010 at 6:00 am	and is filed under Dental Extractions, Dental Tips, Good Oral Hygiene, Midtown Manhattan Dentist. You can follow any responses to this entry through the RSS 2.0 feed. Both comments and pings are currently closed.